Wondering what type of dog tags you should get your dog? Here you'll find a revolutionary dog tag that stores tons of information about your dog and our other favorite dog tags available online and in-store. 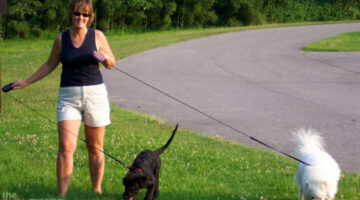 Here’s proof that a basic dog collar can be dangerous leading your dog to get entangled. It happened to me twice… with 2 different types of dog collars! If your dog ever leaves the house, then here are some things you should do to assure that you are always prepared should you dog become separated from you — or lost. And what to do in case of emergency. The best tip: prepare NOW by doing these simple things. To ensure that your next trip with your dog goes smoothly, here are 10 things you’ll want to do FIRST. 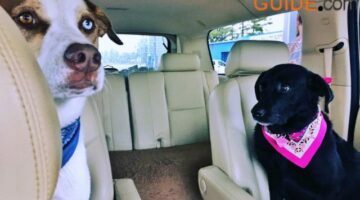 These travel tips apply whether you’re traveling with your dog via car or via airplane. Happy travels! Here’s a revolutionary dog tag that stores LOTS of information about your dog… It’s digital!